asakiyume | "With Hands Held Out"
I ... have written my first-ever** fanfic, about one of my favorite moments in Voyage of the Dawn Treader (actually, one of my favorite moments in the whole Chronicles of Narnia)--the moment when Lucy sees the Sea Girl in the Last Ocean. The story is from the Sea Girl's perspective. It's very short. Thanks to osprey_archer for a read-through and advice on posting! 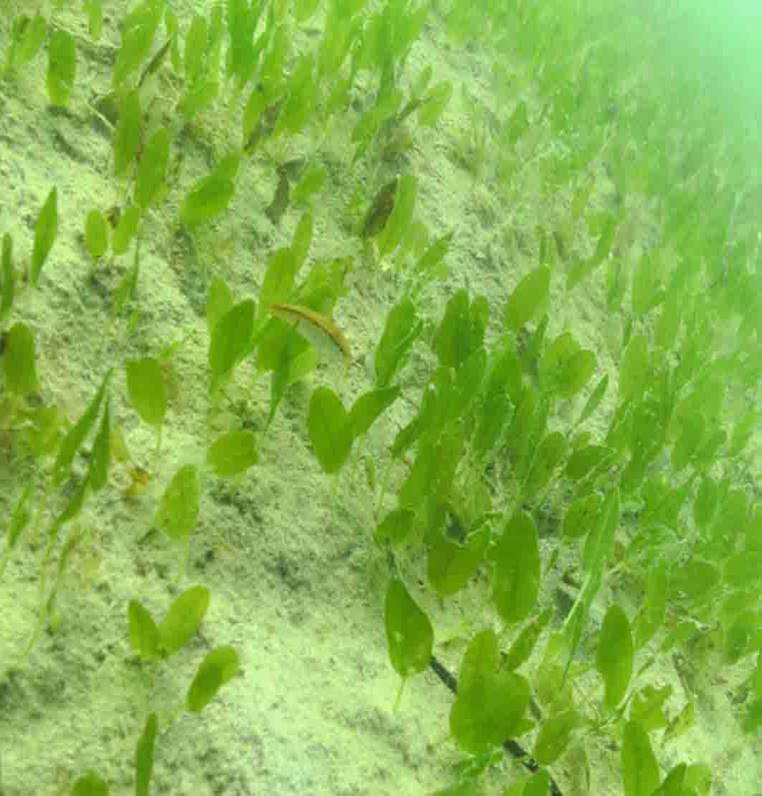 And here are some beautiful examples of seagrass for you to look at, to accompany the story. **Actually I did once write a piece of fanfic earlier. I was in seventh grade, and it was for Space 1999. I saw! I am so looking forward to reading it. I'm so glad you wrote this sure to be magical moment. Thank you so much for reading--I've always loved that moment and at some point in the last few weeks I realized, hey, I can do the thing: I can imagine *more* about it and share what I imagine. --the moment when Lucy sees the Sea Girl in the Last Ocean. The story is from the Sea Girl's perspective. That sounds lovely (I love that moment). Can it be found at AO3? Never mind, found, although if there is a link in this post, I am totally missing it. Thank you for alerting me to the fact I didn't put in the link! How crazy--I was posting very tired but still, that's missing the whole point of the post! I'll add it in. I am truly a nitwit. here is the link! Oh that was beautiful. I loved it. I love those books, and that moment in that particular one. (Puddleglum is one of my favorite characters in fiction.) I can't wait to read the Chronicles of Narnia to Sprout, but they are among the books I still have to retrieve from my MIL's place. Did you read them to your kids, and if so, did you read them in the published order or chronologically according to the story? I can't believe I didn't include the link. That's hilarious levels of fail. Here it is! I did read them to the kids! It was one of those important things that I had to pass on no matter what. I read them in the order in which they were published because that's the order in which they were read to me, but I think you could do it either way. Thinking about it now, much as I adore The Magician's Nephew, it was maybe a good thing that my mom started with The Lion, The Witch and the Wardrobe because the story feels somehow more intimate? Also, The Silver Chair has the part where Aslan tells Polly and Digory that in their lifetime people will invent methods of destruction as complete as the Deplorable Word, and I remember saying to my mother--but that's not true, right? And her having to say, Um, actually--so that was a fun conversation. ... But that was in the era of nuclear destruction as opposed to the current era of evident-all-around-us climate change, which maybe means that kids grow up already knowing the Deplorable Word keeps on being spoken every day. OMG I took this reply in a dark direction. Long story short, I think you can read them in either order, no problem. I loved your story and seeing the encounter from both sides. It is magical when someone gives you a glimpse into how a scene can play out from another perspective. It is magical when someone gives you a glimpse into how a scene can play out from another perspective. --Yes, I love seeing things from a different angle! Thank you so much for reading. Such a beautiful moment. Such a beautiful story. Thank you--and yeah, a precious moment. That means the world to me--thank you. The inspiring text is so BIG in my mind, attaching my fic to it feels a little like Kay attaching his sled to the Snow Queen's sleigh--but I'm glad I went ahead and did it. This is a beautiful image - and just right for describing the way it feels to write fanfics for certain kinds of works. I can imagine there are some works I just wouldn't even want to try, and not for want of liking the source material. It took me years to work up the nerve to write a fic for The Changeling, because... it's The Changeling! It's such a beautiful sleigh! Yeah, exactly--I was remembering your saying this about The Changeling (though I have to add you succeeded beautifully when you did take on the challenge). That's possibly my favorite moment in the entire series as well. It's just so human and beautiful. That brief moment of connection that's at the same time eternal. It's like... everything about our existence as humans, in just a few sentences.